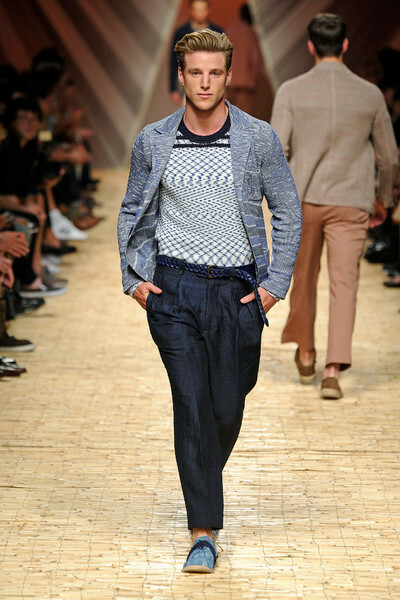 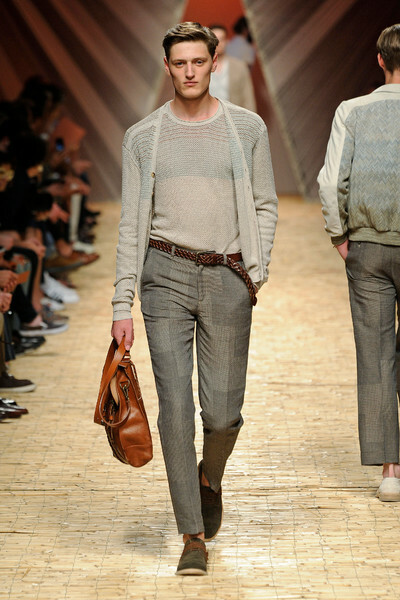 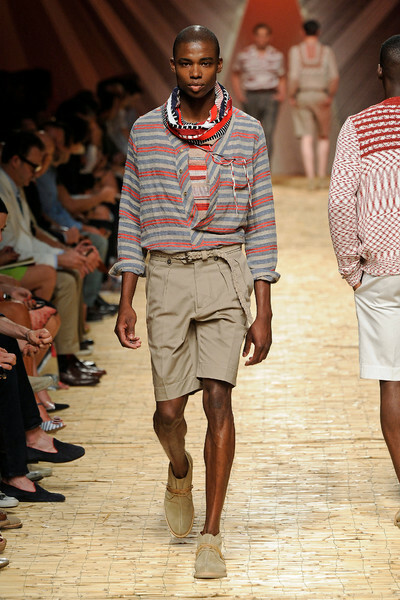 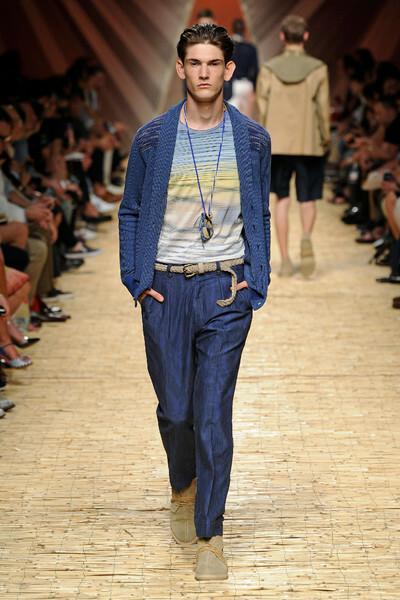 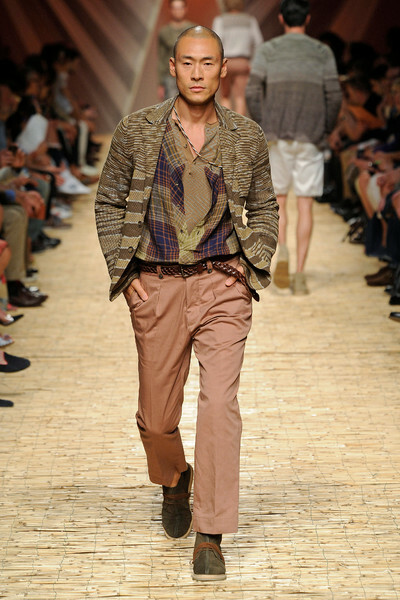 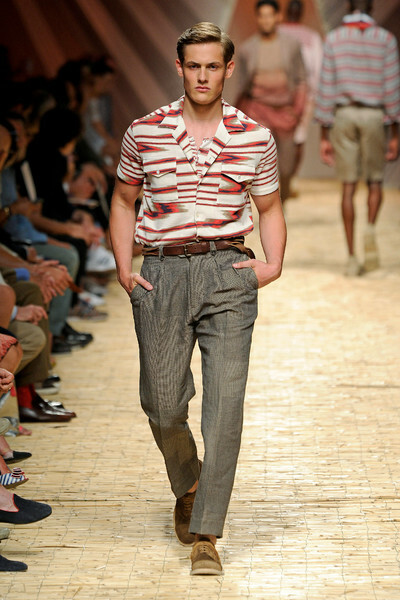 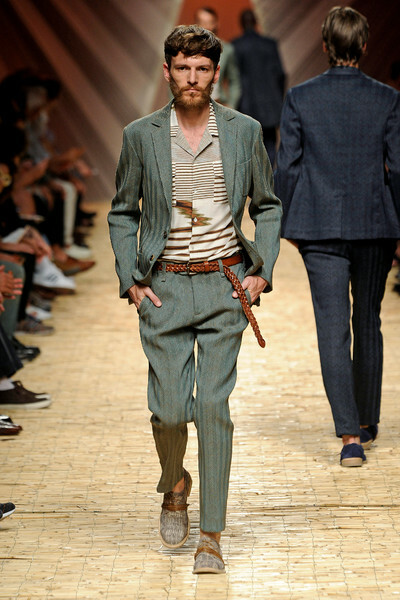 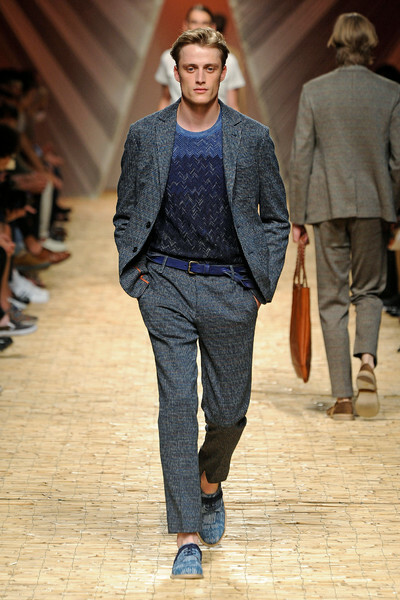 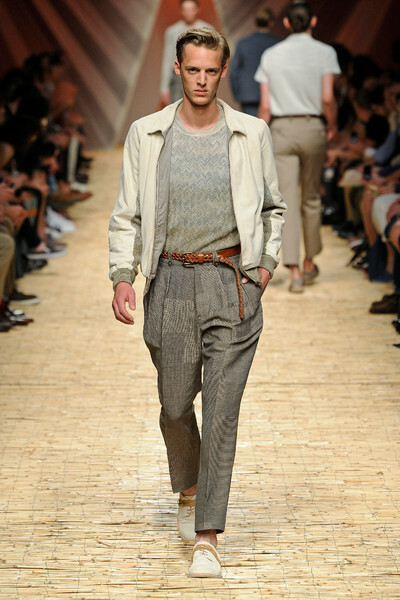 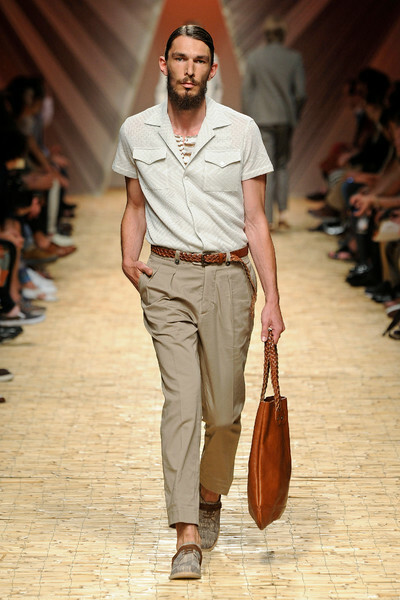 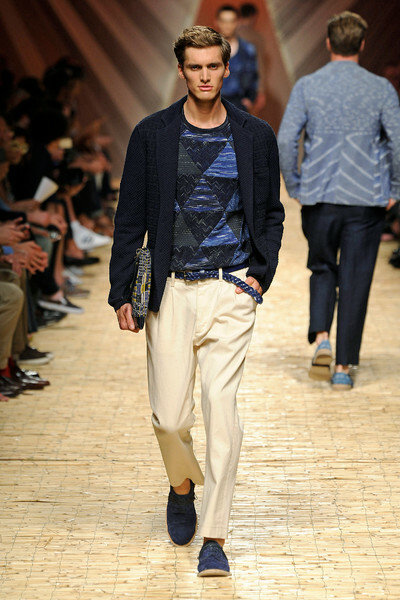 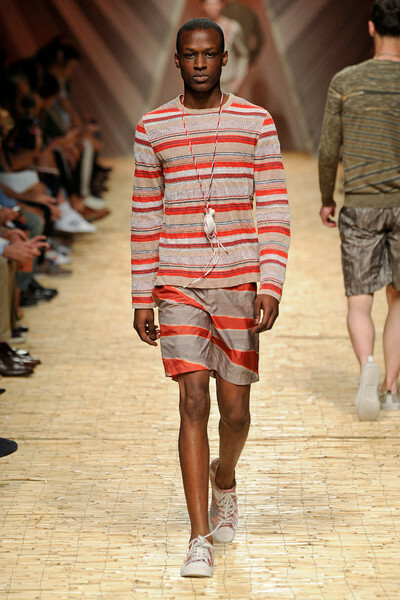 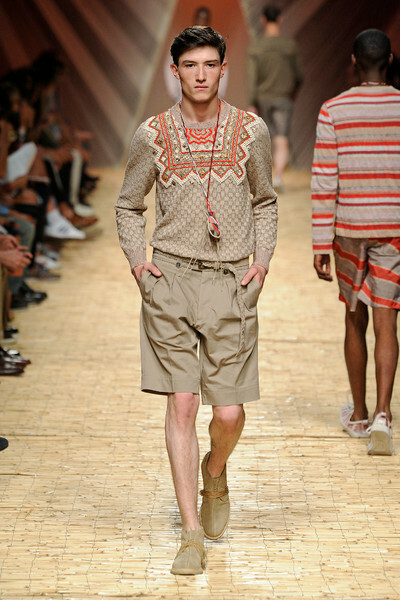 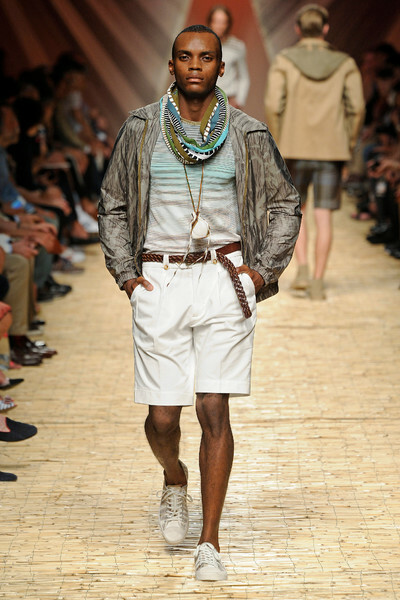 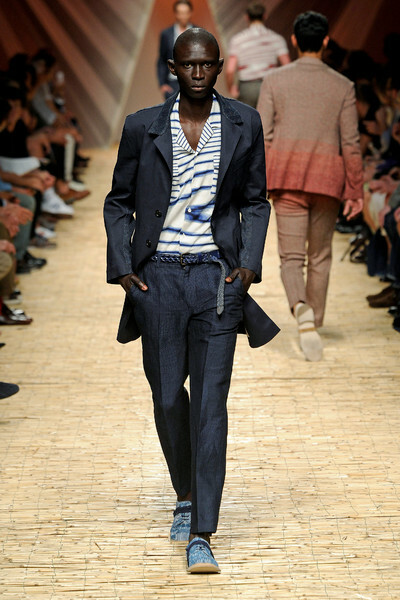 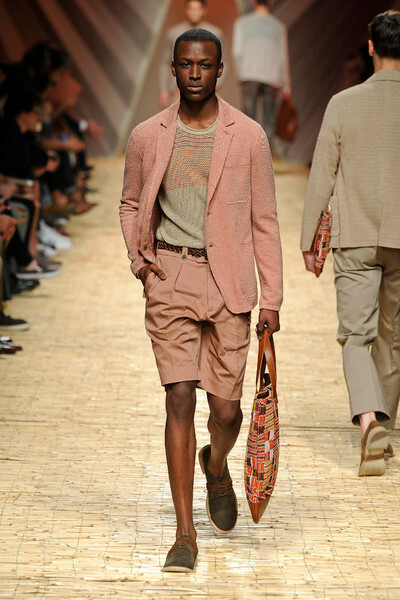 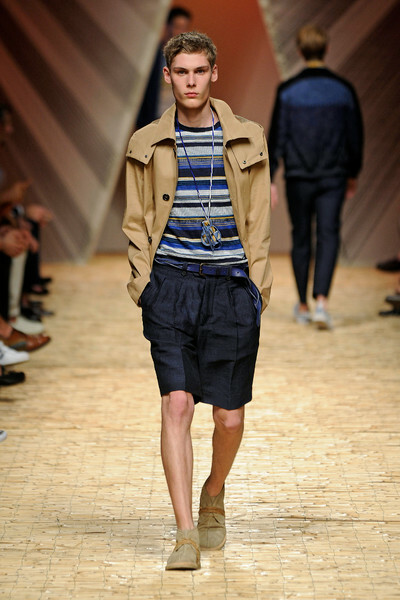 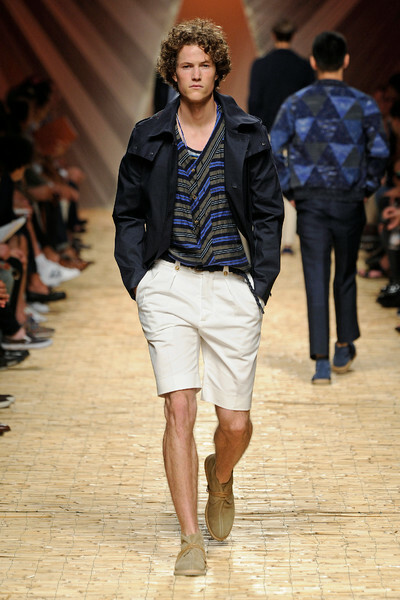 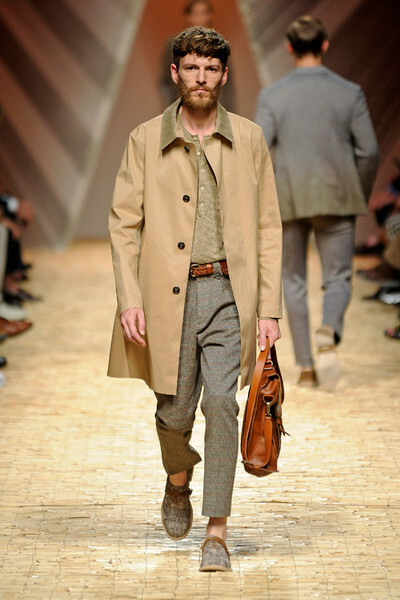 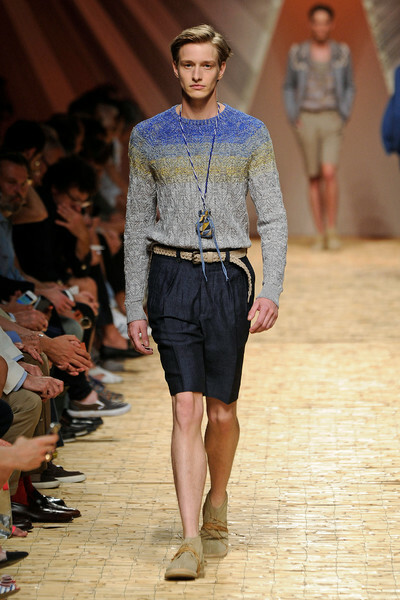 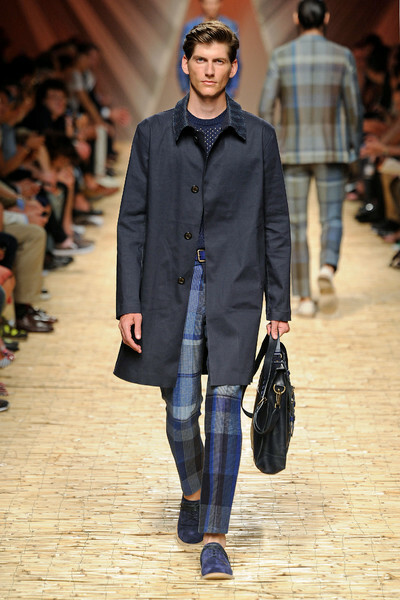 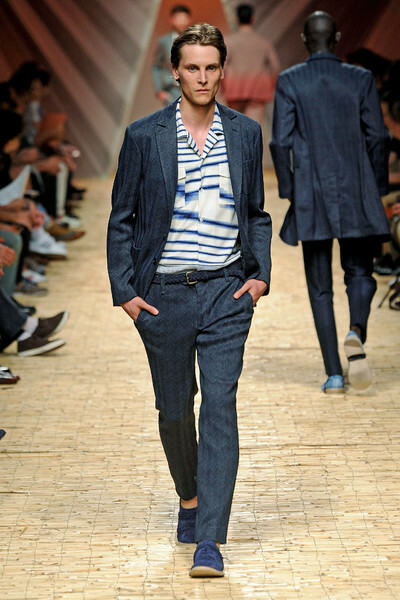 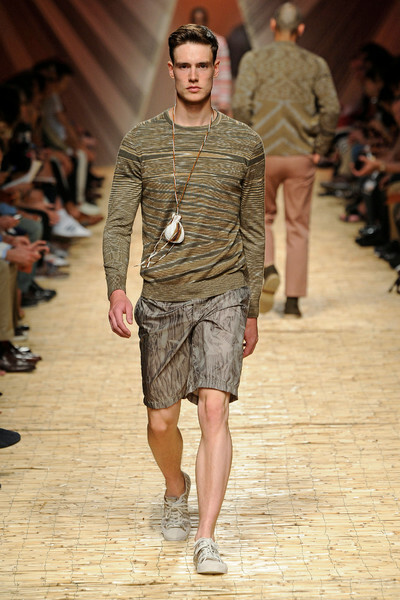 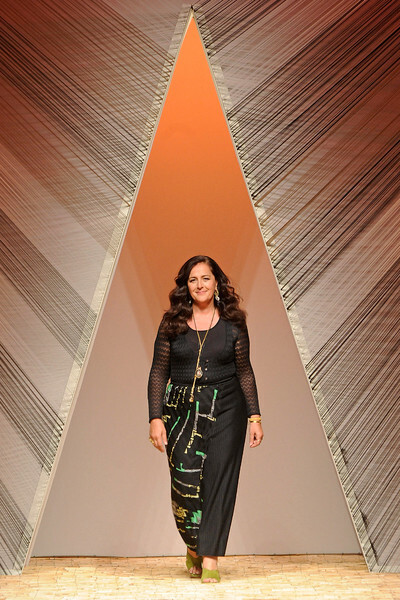 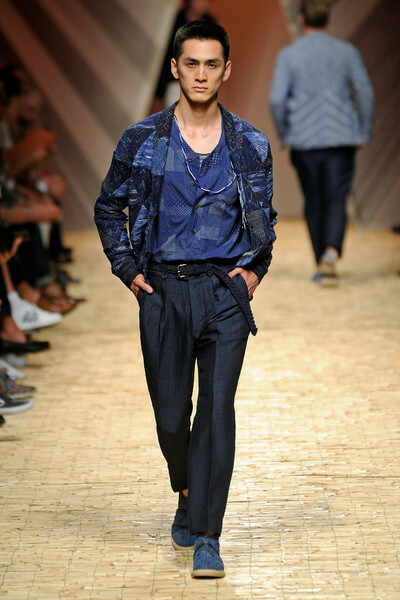 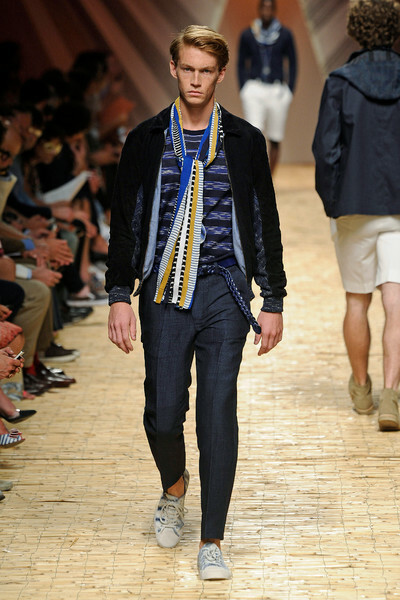 Angela Missoni presented a fresh, comfortable ss14 collection and introduced a new loom knit made with a rubber coated yarn in indigo, sand and sage green, which she used to create overcoats and short parkas. 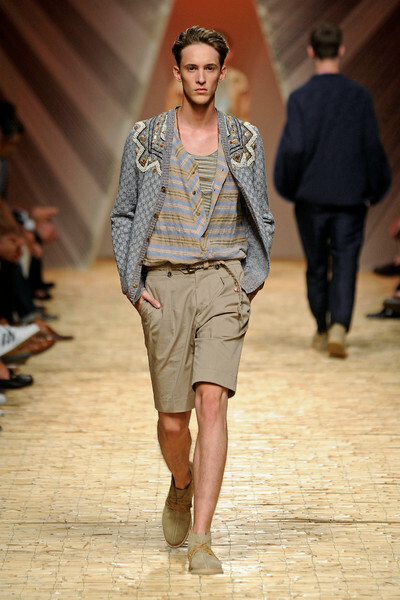 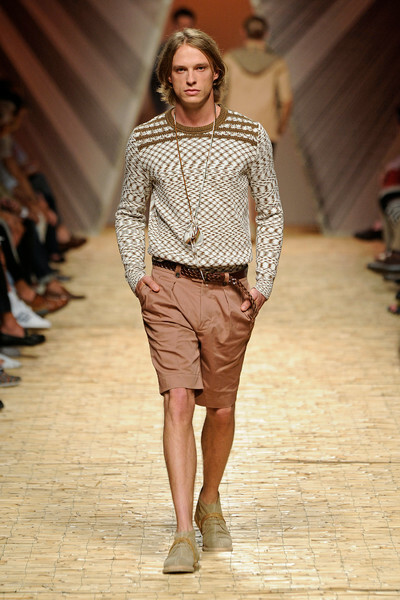 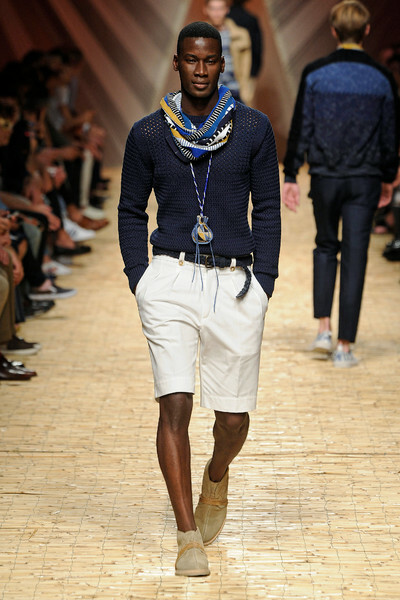 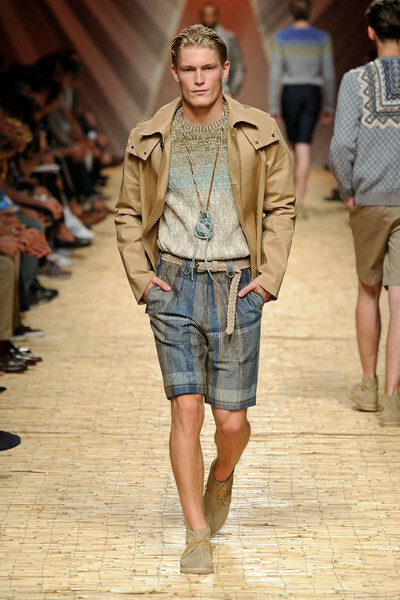 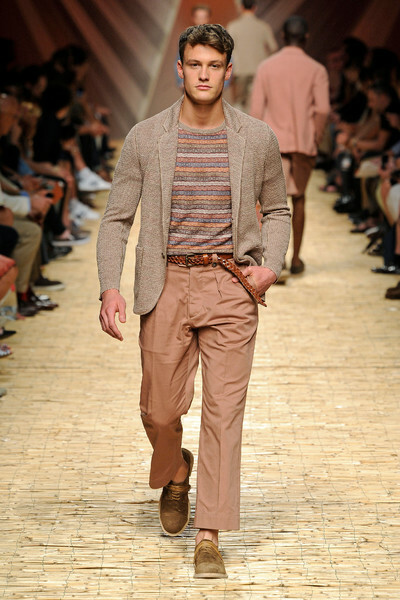 Cardigans — some loosely knit, others light — had an airy feel and were done in a palette inspired by West African fabrics. 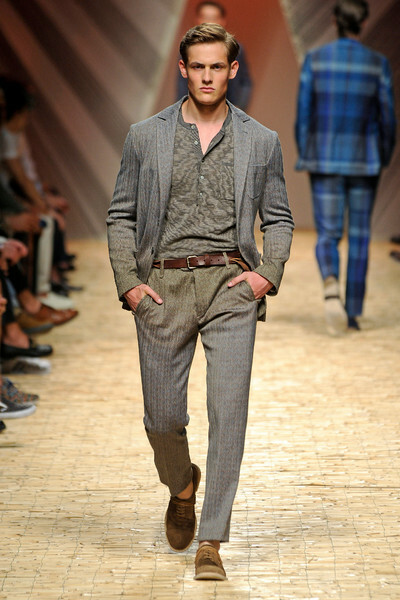 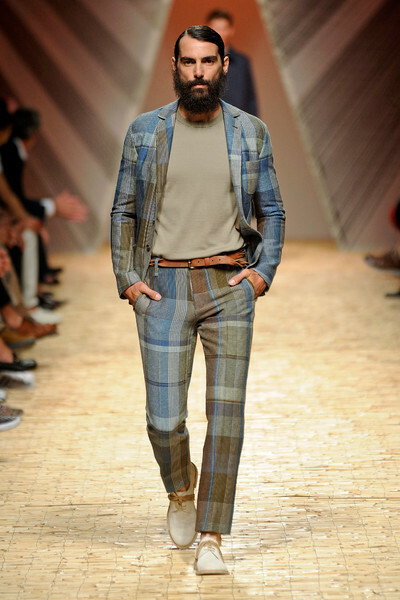 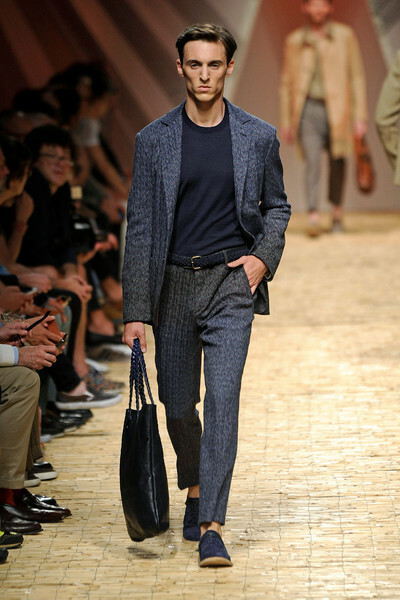 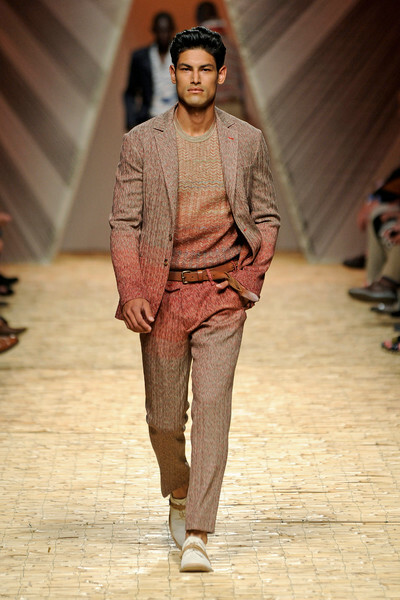 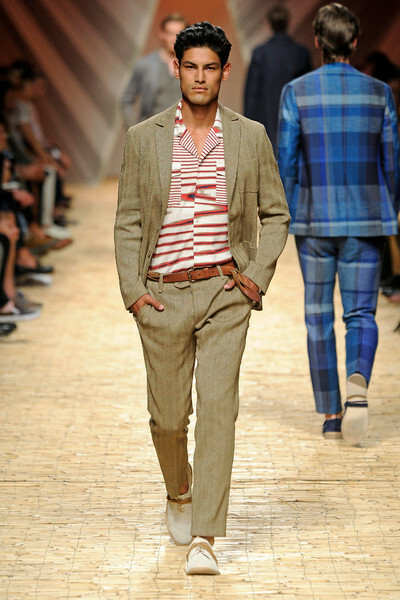 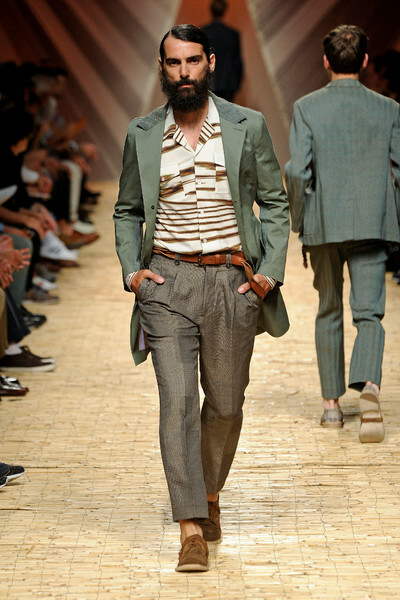 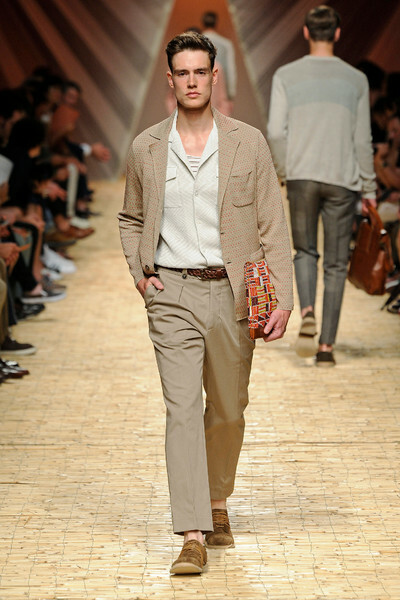 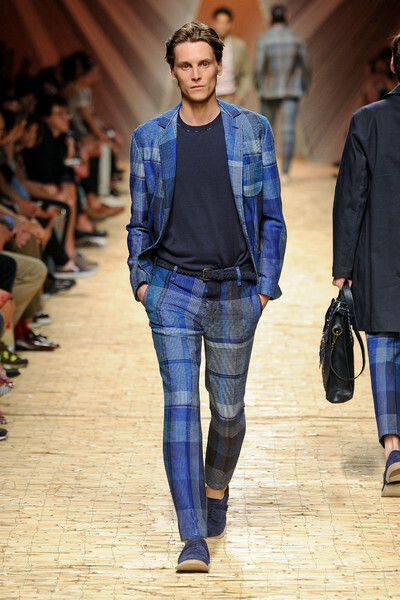 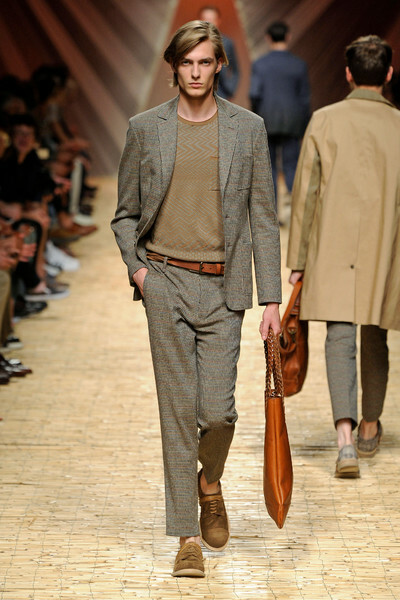 The fabrics were also used as inspiration for classic men’s suits, featuring plaid patchwork patterns on cool wool, as well as a series of pleated linen pants and cargo shorts.